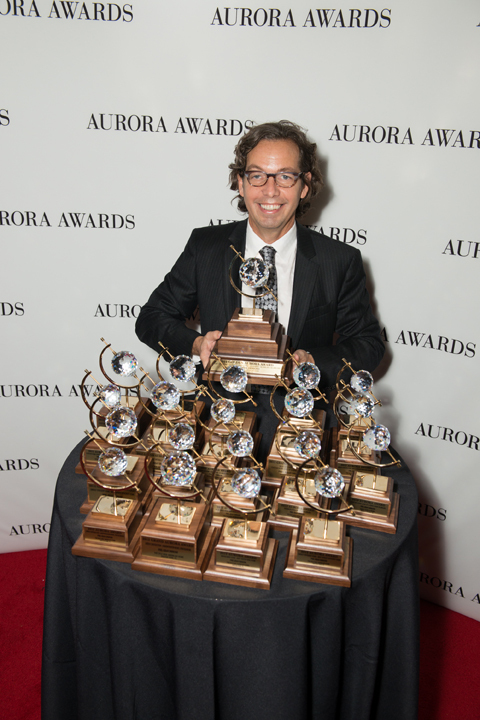 JULY 28, 2012 – The 34th Annual Southeast Building Conference (SEBC) finished this weekend with a bang when it announced the GOLDEN Aurora Award at the Gala/Spectacular. Phil Kean of Phil Kean Designs took his 3rd Golden Award, this year for The 2012 New American Home. Team members include: Two Trails, Inc.; Redmon Design; Zio; Brad Grosberg, Principal, and Rob Turner, President of Interior Design at Phil Kean Designs. Phil Kean also won “Best in State” awards for the states of Florida and Alabama; and 17 other awards including 11 “Green” building awards. Carrie Cogsdale of Phil Kean Designs won the Concept Award for the Live Design Competition which was held on the exhibit hall floor during the conference. The Aurora Award Program honor builders, planners, architects, developers, designers, interior merchandisers and other housing-related professionals in a 12-state region stretching from Texas to Virginia plus the Eastern Caribbean.